One of the most important parts of a home remodel is the up front planning that leads to a successful completion. That’s where Legacy Design Build shines! Upon initial contact, our team at Legacy Design Build Remodeling will assign you a project consultant to discuss your ideas, requirements and budget for interior design in Scottsdale AZ. We strive to truly get to know you during this initial phase. Your project consultant will first call you within 24 hours to discuss your inquiry over the phone. If we feel like we can help you and you are comfortable with our team, we will move forward with an in-home consultation to go over things in more detail. During this meeting, we will continue to get to know each other and plan out your ideas and budget. At this time, we’ll discuss a Project Analysis and Design (PA) agreement, whereby the PA process is explained and you accept and sign the agreement of all goes well. The Legacy team will then take a field measure of your property, take pictures, and conduct any necessary research related to the property and construction requirements. We will continue to work closely with you every step of the way so your dreams for interior design in Scottsdale AZ are realized. 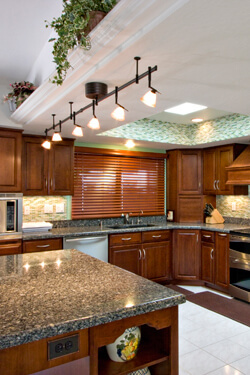 We strive to make this project plan a blend of your remodeling needs and your given budget. For small bathroom remodels in Phoenix AZ, this process may only take a few days to get on the same page. For larger remodels that encompass several rooms, this process could take a few months. Once you have approved the project scope and price, we will draft a Building Services agreement, which you will sign. You will also be expected to put a deposit down on the project. From here, we move into the Pre-Build and Permitting phase — the next exciting step on your home remodeling journey! It’s simple to get started on your bathroom remodel in Phoenix AZ. Just call Legacy Design Build Remodeling at 480-970-7590 to learn more. We will schedule a free no obligation consultation to start the process.